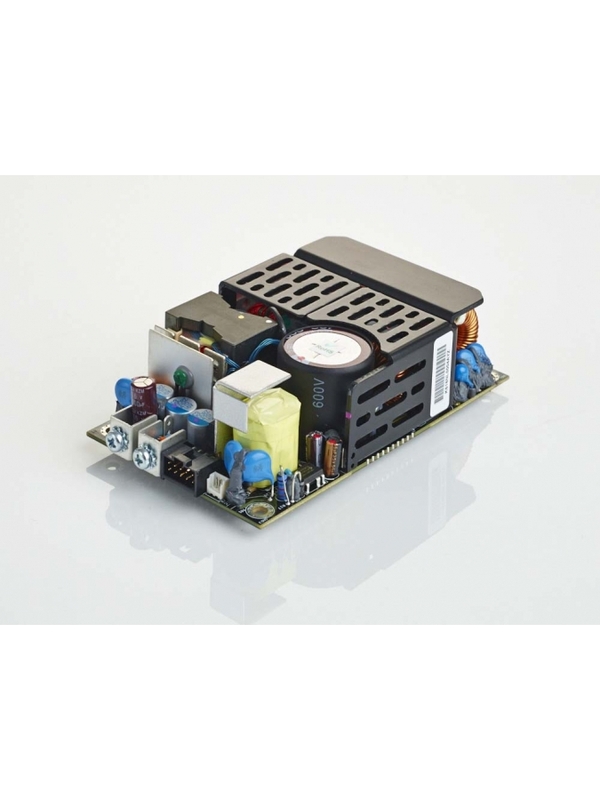 The LPS360-M series of open-frame AC-DC power supplies comprises five single output models, offering voltages of 12 V, 15 V, 24 V, 36 V or 48 V. Each power supply also provides 12 V fan and 5 V standby outputs. All four models feature ITE and medical safety approvals and accept a universal input of 90—264 Vac or 120—300 Vdc. Comprehensive overcurrent, overvoltage and overtemperature protection is provided as standard. Additional facilities include main output remote sense, Power fail signal and I2C for basic monitoring and control. LPS360-M power supplies have a full load efficiency of up to 92%. Depending on operating conditions, they provide up to 240 watts of output power with free air convection cooling and up to 360 watts with 400 LFM of forced air. Less than 1U high, the power supplies are ideal for light industrial systems as well as patient contact Type BF medical applications.